Arkadii Slinko, now at the University of Auckland, was one of the leading figures of the USSR Mathematical Olympiad Committee during the last years before democratisation. 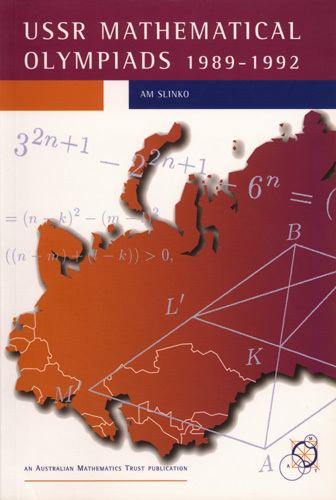 This book brings together the problems and solutions of the last four years of the All-Union Mathematics Olympiads. Not only are the problems and solutions highly expository but the book is worth reading alone for the fascinating history of mathematics competitions to be found in the introduction. "It is arguable that the USSR Olympiad was the epitome of all national mathematical competitions." "It will certainly be an invaluable volume to all those involved in the coaching of the world's talented young mathematicians."